The convenience of having an automatic garage door dips to near zero if your remote doesn’t work. Before you automatically go out and get a garage door remote replacement, here are some troubleshooting tips that you should try first. Some of them are obvious, but there are others you may not have thought of before. Your first reaction to this tip is probably, “Well, duh,” but it still needed to be included. If the batteries are bad, try to avoid using discount batteries to replace them. If you do, you’ll probably wind up having the same problem a lot sooner than you want. You should also not use rechargeable batteries because they don’t have the power needed for your garage door opener remote to work most effectively. Your batteries may be fine but the contacts may be worn, dirty or even wet. You’ll need to polish dirty contacts with steel wool or 400-grit sandpaper. Look at the plastic piece that covers the infrared unit, also known as the “eye.” If it’s scratched, you can polish it using a plastic polishing substance. However, if it’s gouged, pitted or scratched badly, you’ll probably need to get a replacement. 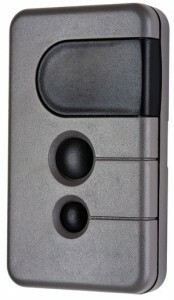 A garage door opener remote is basically a small computer. Just like your laptop or desktop, sometimes it needs a reboot. Take out the batteries for 30 seconds, re-install them and try it again. If none of the above work and you need to get a replacement, make sure you write down the part number on the remote as well as the model number of the unit. If you need some help or have any questions, whether it concerns a garage door opener remote, garage door repair or anything else, call Action Garage Door at 817-204-0917 or contact us online.